Will Americans Recoil in Yet more Contrived Fear? Editing Note: The Justice Department's official statement found here, says Mohamud attempted to detonate the device remotely, which is not "in public view," though apparently the van was indeed parked next to the square and contained an explosive device described as "inert." Additionally, it states that FBI agents constructed and detonated a real device with Mohamud on November 4, 2010 in a run-up to the actual event. The implications of FBI agents posing as terrorists. constructing and detonating real explosives are frightening. 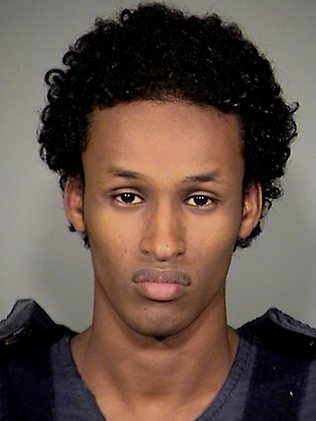 A 19 year old man, a Mr. Mohamed Osman Mohamud, was in contact with undercover FBI agents since June of 2010. FBI agents claim they were acting as an accomplice of a supposed Pakistani terrorist Mr. Mohamud had been in contact with as early as 2009. Unlike the supposed Pakistani terrorist Mr. Mohamud was in contact with, the FBI actually supplied him with a bomb. According to the FBI, their undercover agents had decided to meet with Mr. Mohamud in Portland in July 2010, where Mr. Mohamud expressed a desire to conduct "Jihad" against non-Muslims. The story fast-forwards to Friday, November 26, 2010, when Mr. Mohamud was arrested after trying to detonate an inert bomb supplied to him by the FBI, on the corner of Southwest Yamhill Street and Sixth Avenue - in full view of the ceremony. Maximum bloodless terrorism upon a public increasingly skeptical about the official narrative of the "War on Terror" comes to mind. This skepticism, of course, comes from the fact that the only groups that seem to be actually building bombs and conducting terrorist operations are within our own Western governments. This is reinforced by shocking revelations that Anwar Al-Awlaki dinned at the Pentagon, months after 9/11 while listed as Al Qaeda's #3. Al-Awlaki has since been linked to the the "Underwear Bomber," the "Fort Hood Shooter," the "Times Square Bomber," and the "Shoe Bomber," as well as the recent Yemeni parcel "bombs." While the mainstream media attempts to downplay the outrage of Americans concerning the government's latest choice for air passengers - a hazardous ineffective x-ray machine or an equally ineffective, humiliating, and un-Constitutional groping - the stage was set for another high-profile terrorism story to reinforce the establishment's faltering propaganda.